Start taking classes at Power Sculpt Fitness and other studios! Get ready for a knockout of a workout! This amazing sweat session will include rounds of heavy-bag boxing drills and high-intensity intervals. There will be glove to heavy bag contact - and although absolutely no experience is required, please be prepared to punch with gloves. If you're looking to break through to the next level, you must experience this incredibly intense workout! *This is NOT a self-defense or sparring class but an amazing fitness boxing workout. There are no upcoming “Box & Sculpt” classes on this day. 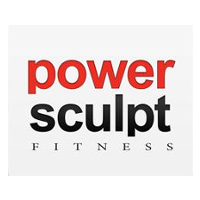 All Power Sculpt Fitness studio classes are held at 3119 N. Lincoln Ave. in Chicago 60657. If you are attending an indoor cycling class, please enter at our Power Cycle entrance located at 3120 N. Greenview. Metered and side street parking is typically available and our studio is accessible via several CTA options. Brittney was a great instructor! Was so much fun and a great workout! Alex was great and explained the moves well. I liked the class, though there wasnt any instruction on form or proper technique even after letting them know it was my first time. high intensity, great music, great instructor!